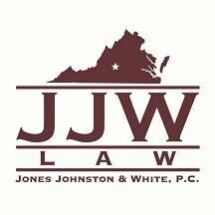 The law office of Hugh J. M. Jones, III, P.C., represents the people of the Lynchburg, Virginia, and the surrounding areas in legal issues related to motor vehicle accidents, premises liability, personal injury, probate, trusts, wills, estate planning, business law, lemon law and real estate law. Since 1980, we have offered accurate, prompt, high-quality legal services to the community, and we use our decades of experience to better serve our clients. Along with legal services, our law office is also teamed up with Settlement Services, so we can offer more options to the people of Lynchburg when it comes to real estate closings. We review loan documents and can offer legal advice to Settlement Services, which is something most closing companies do not have available to them. All closings with Settlement Services are reviewed by an attorney. So if an issue arises, we can offer our clients legal advice to better assist them. Settlement Services is the only attorney owned-and-managed settlement company in the area, which is a huge advantage for our clients. Responsiveness is one of our best characteristics, and we strive to come up with cost-effective solutions to every case. The Lynchburg Business and Living Magazines awarded our office as one of the Top Lawyers of Greater Lynchburg in 2017, and every member of our staff has been here for at least a decade. We provide free initial consultations on all real estate, personal injury, and lemon law cases. Business entities can be created at the law office of Hugh J. M. Jones, III, P.C., and an attorney is involved in all commercial transactions. With our legal office, combined with our settlement company, we offer a unique blend of services that are more convenient, affordable and efficient for our clients. We are knowledgeable in all areas of the law and are proud to represent the people of Lynchburg when they need an advocate on their side.